Taking inspiration from the stunning world of ballet, Repetto, maker of the iconic pointe shoes (and my favorite ballet flats), has released it’s first fragrance. If I had to use one word, I’d sum it up as ‘exquisite’. It’s a monumental task to compose a fragrance–and get it right. From the heritage, to the juice, to the packaging, Repetto Eau de Toilette has it all. What little girl hasn’t dreamed of becoming a ballerina at some point in her life? Ballet is so rigorous and only the most elite dancers make it. The images you conjure up are stunning–the pink tulle costumes and of course, the pink pointe shoes. When I first saw the Repetto bottle, it took my breath away. Sensuous and rounded, it’s wrapped in the identical ribbon used on Repetto pointe shoes. The bottle is the softest, powder pink color. It draws you in from the first moment you glance at it. Repetto is a very feminine fragrance. Overall, it wears as a musky rose, and for me, has good staying power. 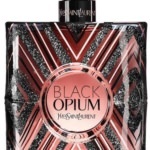 The top notes include pear and cherry blossom; the heart of the fragrance is rose and orange blossom. Base notes are vanilla pod and amber wood, which reminds me of the strength and backbone necessary to become a ballerina. When you look at the notes, you might think “fruity” or “fruity-floral”, but Repetto is not that at all. It’s more substantial. The base notes of vanilla pod and amber wood cut through the sweetness and give a warm and elegant feel as the fragrance dries down. 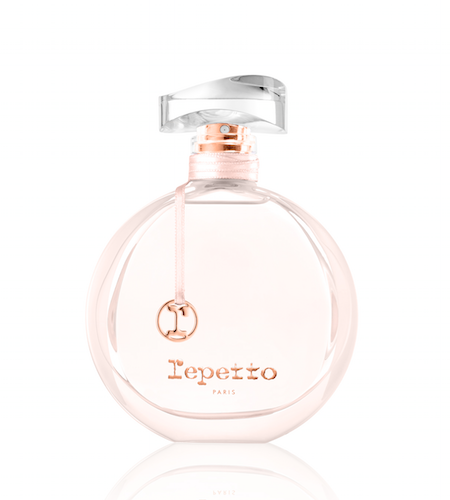 Repetto is available in three sizes (1.0 ounce, 1.7 ounces and 2.5 ounces) exclusively at Sephora and Sephora.com. If you’re looking for a feminine, easy-to-wear fragrance, I say go for it!